You won’t miss a thing in the influencer space with the Carusele Roundup. We’ll send you a monthly email with a digest of our most recent blog posts. If you want to maximize your influencer marketing strategy, don't stop reading. 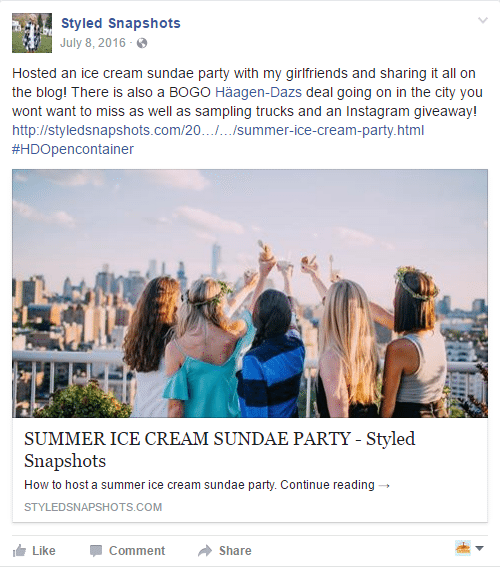 If you work for a food or beverage brand, you may already know that influencer marketing is a great way to get your product into native content and out to audiences that have been traditionally hard to reach. 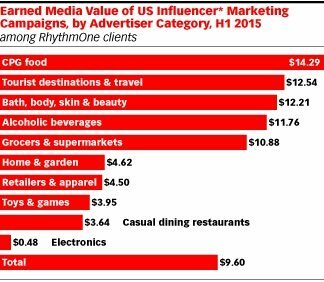 A recent chart by eMarketer shows just how valuable with influencer marketing for CPG food brands realizing a whopping $14.29 in earned media value. Here are some tips specific to influencer marketing for food brands – things you should know to get the most out of your next (or first) influencer marketing campaign. 1. 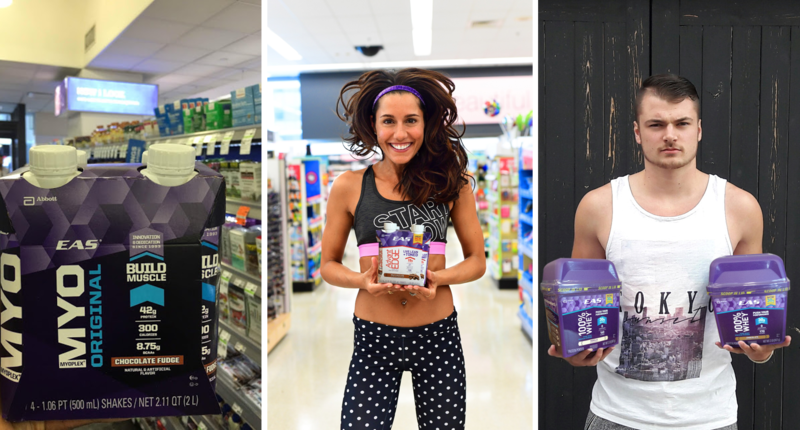 You Should be Doing it: Influencer Marketing Really Works for Food and Beverage Brands! When people are looking for recipes and new foods and drinks to try, they no longer search through traditional recipe books and magazines. They go to Pinterest; they look at recipe videos from Facebook pages like Delish, Get in My Belly, and Tasty; they search for a specific recipe on Google. They read reviews and recommendations before deciding on what to eat or cook. This content shows people quickly what the end result will look like, how to prepare something and often where to find it. People don’t like to be directly marketed to. The beauty of influencer marketing content is that often readers don’t care it’s sponsored if they are inspired – at that point they’ve decided to make the recipe/buy the ingredients/pin it for future use. 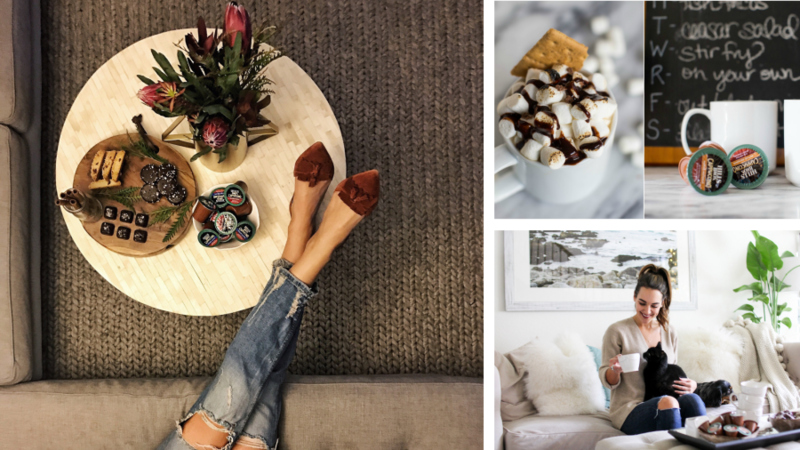 Pinterest is the perfect environment for brands to get exposure in native content. 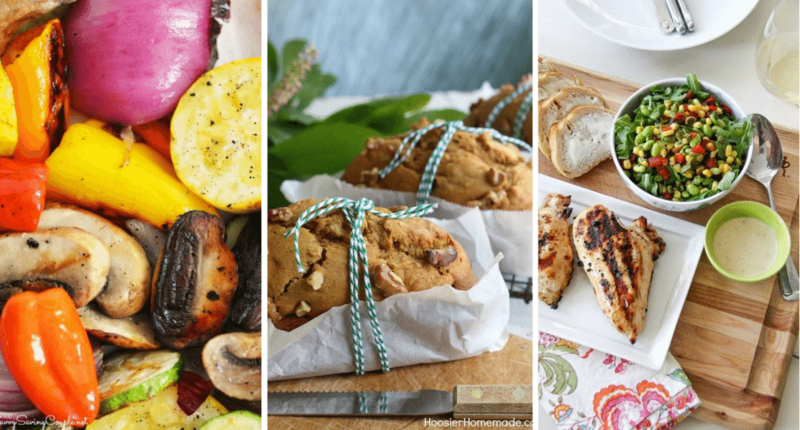 Themed Pinterest boards that are sponsored by food brands continue to see huge engagement. A food board hosted by a brand doesn’t necessarily have to include only pins that include that brand. 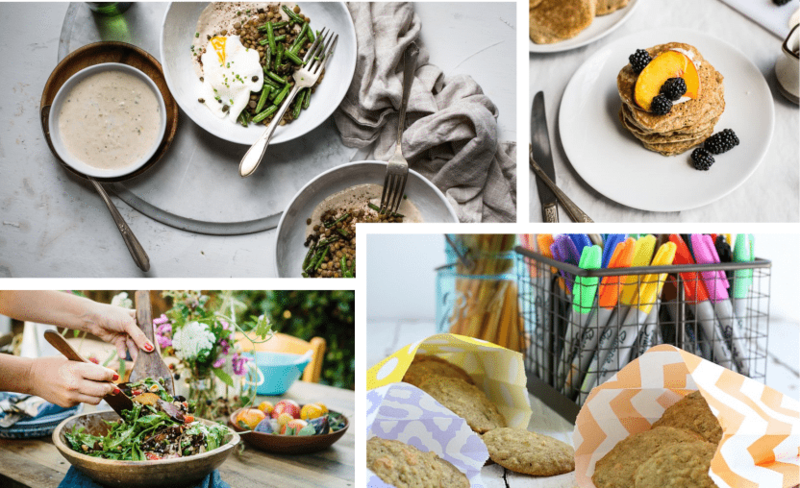 Instead, by being more of a resource and providing a broader range of content – say a healthy eating board, these boards generate engagement and followers because they do not appear to be pushing product. Sure, your product is important, and the recipe is too – but if the photography isn’t beautiful, no one is going to want to buy your product. If the product looks less than appealing, there’s no point in running the content because it won’t get the results you want – and may actually hurt you in the long run. If the photos are beautiful, people are going to be inspired to try the recipe – it’s as simple as that. It’s also important to recognize that there are different types of photography. At the outset, you should focus on choosing the right tone for your campaign. Do you want dramatic, artistic content that looks like it’s come from an expensive recipe book or relatable family-friendly photography that could have come from your target audience’s Facebook friend? There are obvious merits in both but you need to know which look you’re going for. Different campaigns for the same brand can utilize the different photography styles and reach different audiences in doing so. In our experience, overly produced food photography (which might be perfect for TV or a menu) doesn’t perform as well on social media. This one is really marketing 101. You MUST have the product your marketing campaign is centered around readily available in-store. There’s nothing more frustrating for your potential customers and damaging to your reputation than to see your product in native content, head in-store to buy it and discover that it’s not on the shelves. Obviously, this doesn’t look good for your brand but you’d be surprised how often it actually happens. We’ve seen it happen in our campaigns once or twice. Don’t let it happen to yours. Influencer marketing content that creates an experience around your product is often the most effective. Because this content is generally aspirational in nature, it encourages audiences to buy a brand. It presents the experience (and your product within it) as attainable and makes your brand come to life. “Drink this and you’ll feel satisfied, buy this and you’ll be healthier, feed your family this and they’ll love you more.” It’s all the standard ways food brands have been marketing their products for years but now you’re letting someone else do it for you … and the influencers’ voices are more believable than yours because you’re a brand and they’re independent. And, you’re giving them the creative freedom to incorporate your product naturally into the content they already share with their audience. Influencer marketing is a great way to drive product trial and sampling. Influencer selection criteria might include a regional fan base in order to reach people in and around a specific sampling area. If prospects see an influencer they follow out trialing and promoting a food brand in their local area, this can really bring the campaign to life. These influencers are often “local celebrities” because they are more relatable than red carpet celebs. They are generally well-known because of their websites and content – which often means that followers are happy to trust their advice or go to an event they are hosting. They are relatable and personable (as opposed to red carpet celebs) and as a result, their opinions and recommendations hold weight with their audience (and now yours). In addition to this, the call to action can be a very direct and easy to follow because it’s localized. And of course, people love free stuff even more when it’s recommended by someone they admire! Want more influencer marketing tips? See our blog post on Influencer Marketing Tips for Retailers and subscribe to our blog.